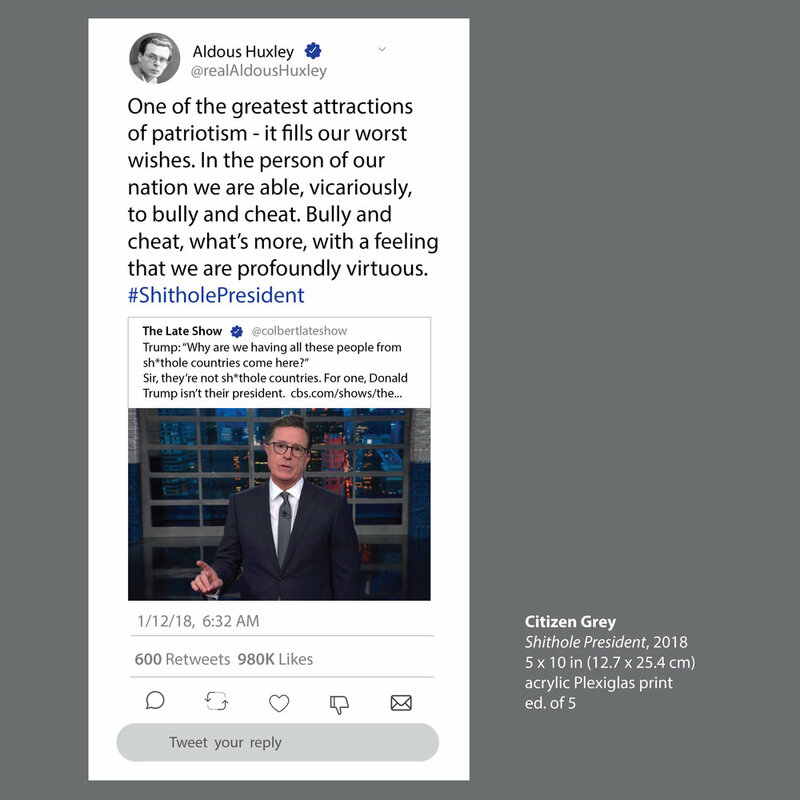 Amplified Division via #FakeNews is a research-based series that examines how social media is threatening the fabric of democracy. 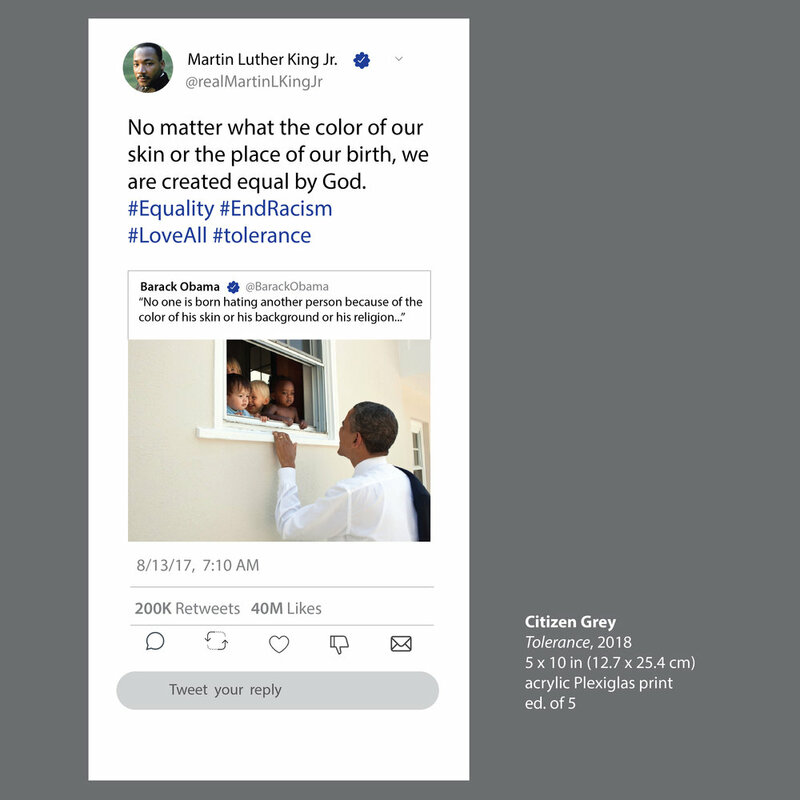 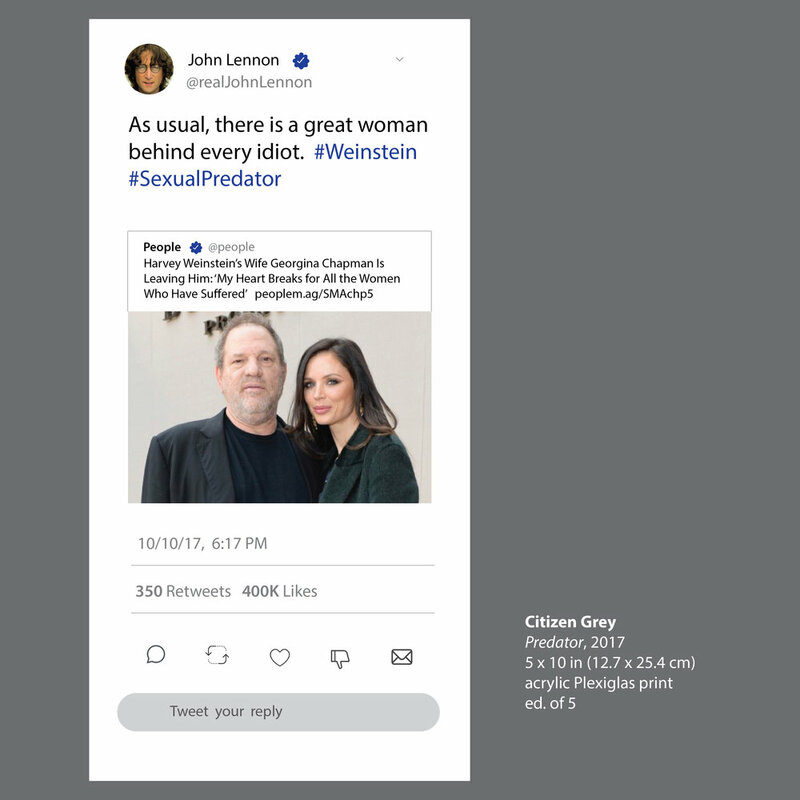 Looking to the past, this new collection of works explores how historical figures, all of whom pre-date Twitter, may have used the platform had it been available to them in their time. 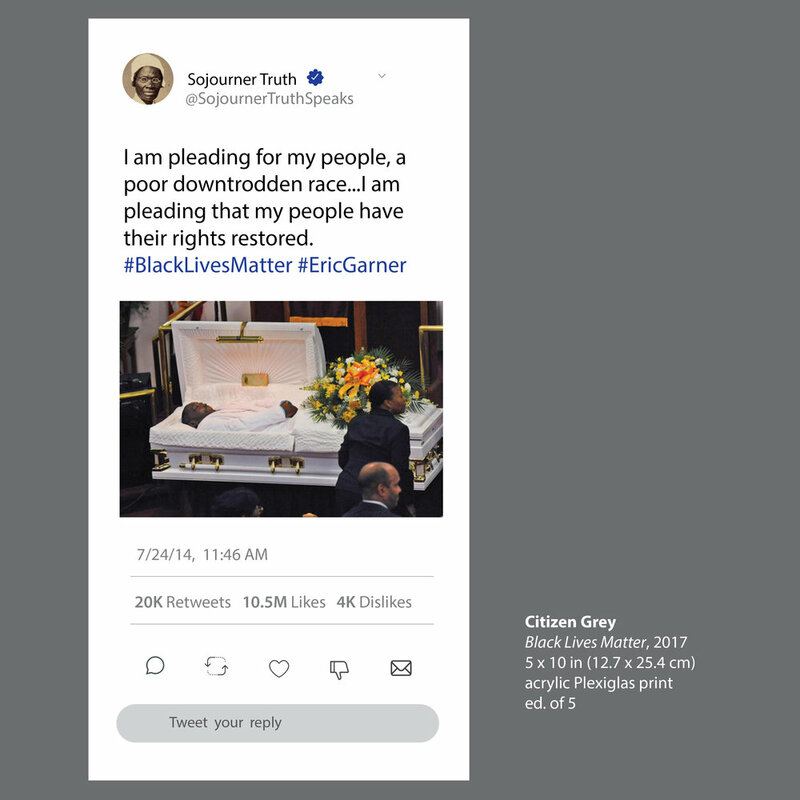 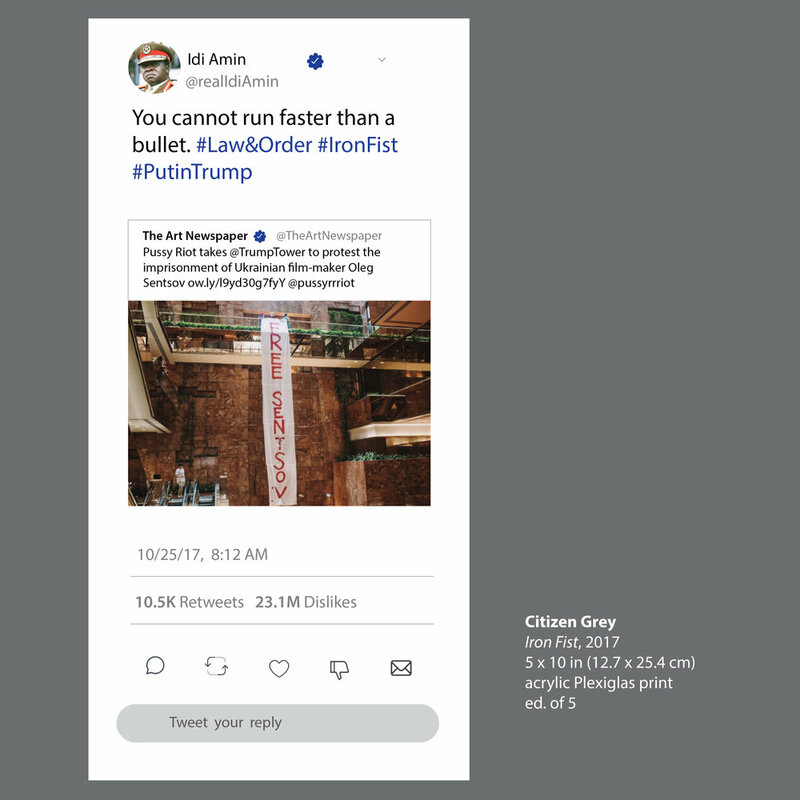 Designed to mimic the layout of a tweet, each work appropriates language from the writings of cultural leaders, innovators, intellectuals and tyrants, while maintaining Twitter’s 280-character format. 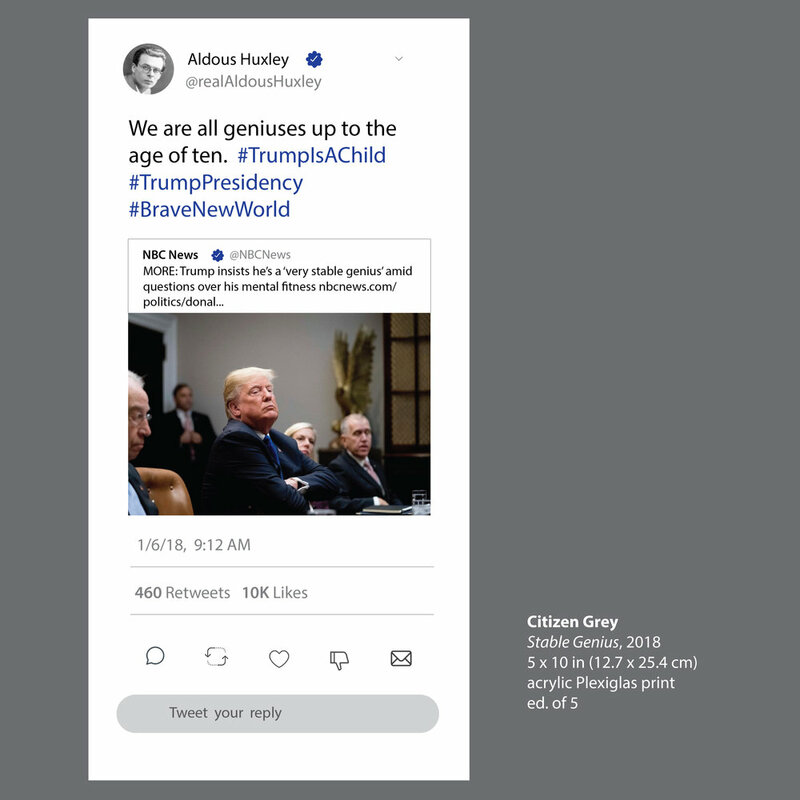 Their words and catch-phrases are then paired with current events, images, dates and hashtags.